On arrival pick up from railway station and transfer to hotel after freshen-up visit local sightseeing of Indore like Lalbagh Palace, Kanch Mandir, Indore Museum, Krishnapura Chattris, Rajwada, Khajrana Evening Return to hotel. Overnight in Indore hotel. Morning after breakfast proceed for Omkareshwar by surface approx 75Kms /02 Hrs. On arrival visit local sightseeing of Omkareshwar evening return to Indore . Overnight in Hotel. 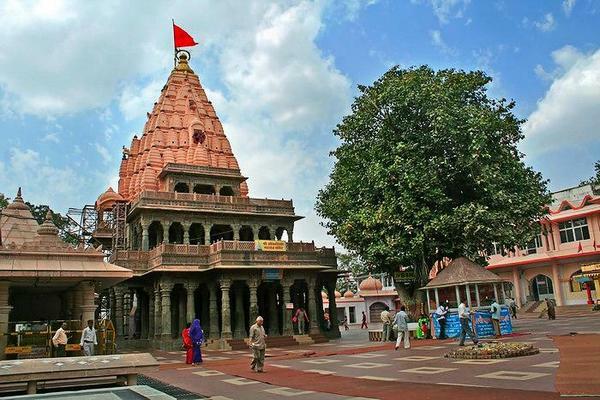 Morning after breakfast transfer to Ujjain by surface approx 60 Kms on arrival visit local sightseeing of Ujjain like Kal Bhairav mandir, Jantar Mantar and Local Temples in Ujjain. Overnight stay in Ujjain. Early morning drop at Ujjain railway station. Journey Concludes.